Proper care for your flag starts when you purchase it. There are a few things that you should know. Indoor flags typically are fringed and for that reason, should not be washed or get wet. Fringe dye has been known to run onto other fabrics. Take this type of flag to the dry cleaners or spot clean it, being careful not to wet the fringe. Outdoor flags can be washed in a mild detergent and should hang dry. Any damaged flag should be repaired before flying your flag again to keep more damage from happening. Your parade flag or presentation set is an investment. 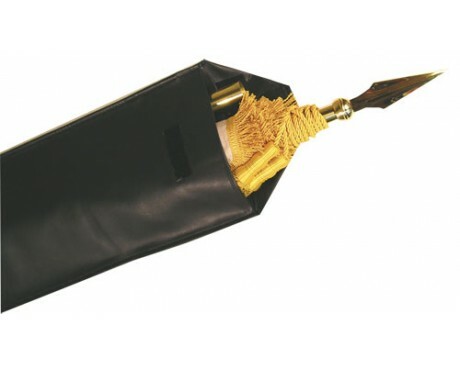 With use of proper flag covers you can keep it looking good and functioning well for years. 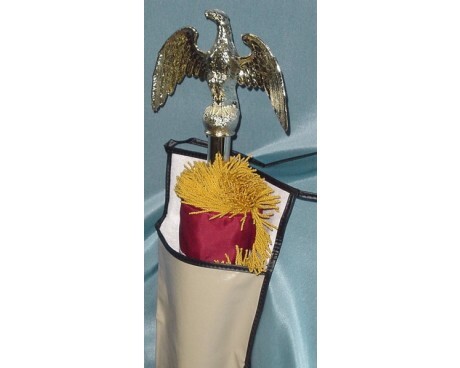 When carrying your parade flag set from location to location, we recommend a lined storage flag cover or carrying case, as it will protect your flag from catching on sharp points, and will keep your pole and hardware from being scratched or dented. Rolling your flag carefully around the pole can also help to protect the pole, and has the added benefit of coming out of the flag cover without creases from folding. 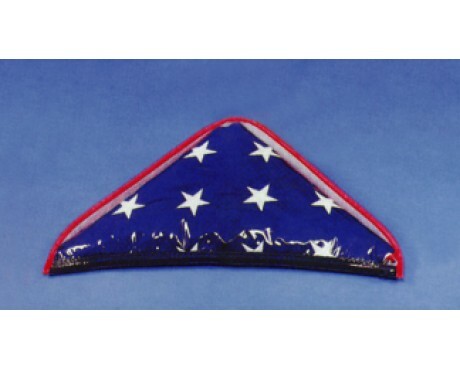 For everyday flag storage, Gettysburg Flag Works offers leatherette flag covers, rain covers and storage bags. With the proper size and style flag cover, you can keep all of your flagpole hardware and the flag, safely stored away for parade use. 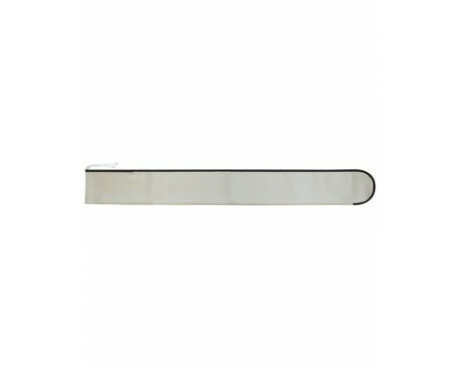 Above are the types of flag covers that require that you disassemble your flag set. 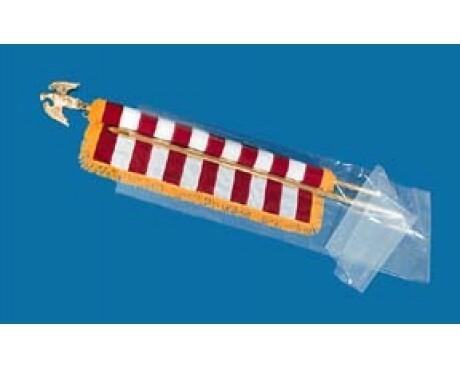 If you are looking to protect an assembled parade flag or presentation set while it's in use, check out our clear plastic flag cover. Sliding this type of flag cover over the complete set will allow you to display your presentation flag during a drizzle on parade day or in a dusty location, while allowing your flag's beauty to show through. Our flame retardant coating is done here at Gettysburg Flag Works in our warehouse. 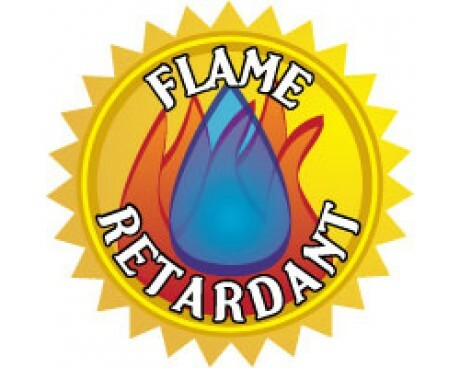 This application makes most any material flame resistant, which is a requirement in most trade show centers & schools. We can treat your new flags before shipping them to you, or if you have existing flags that need to be flame retarded, you can ship them to us for treatment. We have had good success with this treatment an a wide variety of printed and dyed fabrics, but can't guarantee that it won't change the color of your flag. Treated flags will be shipping with care instructions and an official document affirming that your flag or banner meets certain fire safety standards..
Gettysburg Flag Works UV spray protects your flag from premature sun damage. It's like sunscreen for your flag! This spray can be applied by us for a fee, or you can purchase a can of the spray for use at home. 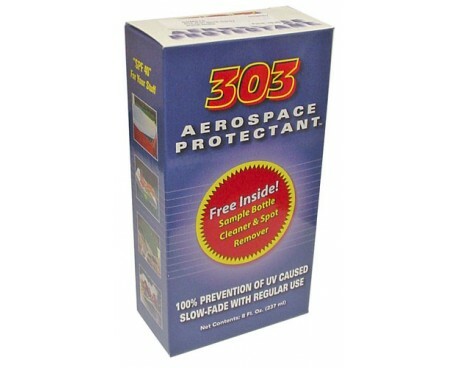 Treat your boat covers, convertible car tops or other outdoor fabrics all with one spray.